Out of 4,322 entries, two products designed by Ergonomidesign – EzyStove and miniME – have each won an iF product design award 2012 and will be recognized with the internationally renowned iF label. 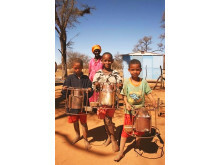 The EzyStove developed in collaboration with users in Namibia is awarded in the kitchen and household category. 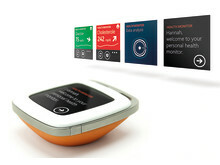 The medical monitoring device miniME is awarded as an advanced studies. — We are very proud of the award. miniMe is the result of the many years of experience from the medical industry that we have gained as designers and researchers. We teamed up with users and practitioners to imagine the most useful ways to utilise new technological developments. With the award, iF has recognized the importance of that kind of explorative work, says Lennart Andersson, Director of Interaction Design, Ergonomidesign. 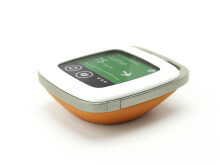 The miniME concept device is part of a future patient-centered health care system, The Future of Integrated Health Care. 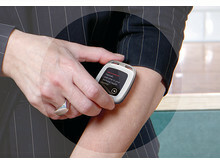 miniME measures and monitors biometric data like ECG, blood pressure, heart rate, body temperature, blood glucose and cholesterol by connecting to body sensors using RFID technology. It forwards the data via a personal health app to mobile devices, computers, surface devices, and other medical devices which give trusted people like doctors, family and peers easy access to the data. The app is prescribed by a doctor as part of a treatment for different conditions and downloaded directly to the miniME from a medical app store. 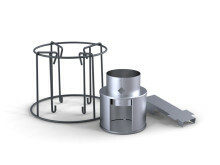 — Both miniME and EzyStove are examples of Ergonomidesign’s design diversity. 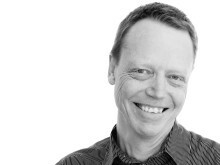 It is also proof of our ability to apply innovative thinking to a wide variety of user needs and contexts, says Krister Torssell, CEO, Ergonomidesign. EzyStove is a sustainable solution to the increasing problem of deforestation and carbon dioxide emissions, resulting from cooking over fire. 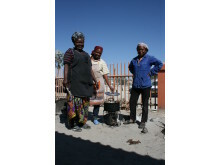 Ergonomidesign collaborated with Namibian women and the non-profit organization Creative Entrepreneurs Solution to develop the stove. It responds to the needs and demands of the Namibian users and is affordable even to the poorest households, not only in Namibia, but all over Africa, in India, other parts of Asia and Latin America where there is a need for affordable and sustainable solutions. The EzyStove project is funded by the Global Environmental Facility’s (GEF) Small Grants Program, which is implemented by the United Nations Development Programme (UNDP). 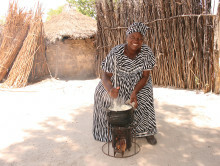 EzyStove reduces greenhouse gases, tackles alarming deforestation and cooks the meal faster. It is constructed to reduce the amount of wood needed by two-thirds, and thereby the emission of gases by 40%. 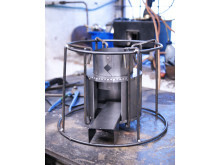 The outer skeleton protects the users from the intense heat and also enables any type of pot or pan to be placed over the fire. The stove comes from the factory as a flat package, minimizing cargo space, and can be put together by local workshops using basic tools. The award winners will be displayed at the iF design exhibition, which will run in parallel to CeBIT, starting March 6th – 10th at the Hannover exhibition center. The iF awards are selected by independent juries made up of internationally renowned designers, entrepreneurs and academics. The jury considered criteria such as design quality, finish, choice of materials, degree of innovation, environmental impact, functionality, ergonomics, visualization of intended use, safety, brand value and branding and aspects of universal design. For 58 years, the iF product design award has been an internationally recognized label for award-winning design and the iF brand has become a symbol for outstanding achievements in design. 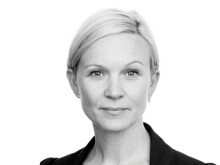 Innan den publiceras måste den godkännas av Veryday. Det svenska industridesignföretaget Ergonomidesign tilldelas fem stycken red dot award designpriser. De prisbelönta produkterna är 3M Speedglass, BABYBJÖRN Resesäng Light, Bahcos japanska såg, Bosieboos badtermometer och Ejendals Tegera PRO skyddshandskar. Tegera PRO skyddshandsken får det prestigefyllda priset ”red dot: the best of the best” för sin innovativa och banbrytande design. 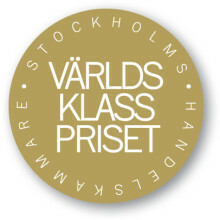 I dagarna offentliggjordes att årets vinnare av Stockholms Handelskammares Världsklasspris 2010 är design och innovationsföretaget Ergonomidesign. 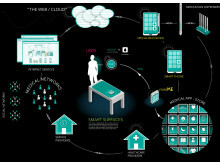 I ett konceptuellt framtida scenario, ’The Future of Integrated Health Care’, sammanfattar Ergonomidesign sin 40-åriga erfarenhet av design och innovation för ledande medicinska företag. Genom att integrera ”appar” för Microsoft Surface med en ny typ av personligt mätinstrument går det nu, för första gången, att prova på framtidens hälso- och sjukvård. After over 40 years of work in the Life Science industry, Ergonomidesign have put together their take on the future of Life Science. Their story comprises not only scenarios and a clear picture of the eco-system in which Life Science might exist (in 2015) - they have gone as far as prototyping glimpses of how interaction might occur with doctors and other medical professionals and services. August Michael, Director of Design Engineering at Ergonomidesign explains what makes EzyStove a good solution to the poorest households in the developing world on Fast Company's daily online Co.Design. EzyStove put together in a local work shop from a flat package. High res for print. The miniME device and its interface. Biometric data is displayed clearly with different colours and icons for quick overviews. Synchronising miniME with sensors in the body to read biometric data. 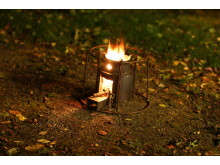 The EzyStove assembled and in use. 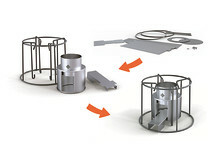 EzyStove rendering of the different parts that make up the finished stove.